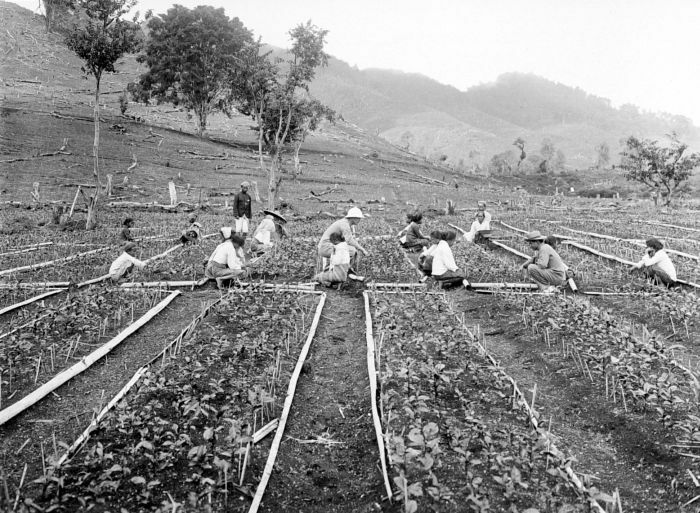 The Cultivation System (1830-1870) in the Dutch East Indies constituted a “classic piece of colonial exploitation” (Elson 1994, 303). Javanese peasants were forced to employ part of their land and (an even larger share of) their labour for the cultivation of cash crops such as sugar, coffee and indigo for the European market. While the consequences of this system – both for Java and the Netherlands – have been much debated, the effects of the Cultivation System on women’s work have hardly been investigated. This paper argues that women’s work has been crucial for the fulfillment of the increasing labour demands of the system. Moreover, it contends that the Cultivation System not only drastically influenced women’s work in Java, but, through the vast remittances from the colony to the metropole, also slowly but surely led to shifts in gendered work patterns in the Netherlands. All in all, colonialism shaped, and was shaped by, women’s participation in the household economy in the colony as well as in the metropole, albeit in increasingly contrasting ways.